"How do I start using HubLink?" Thank you for your interest in HubLink. It's a new enterprise application that streamlines asset management workflows and helps users communicate rapidly during emergencies. "I want to create my own user account." Download the app to their iPhone and/or iPad. "'HubLink' would like to send you notifications." Click "Sign Up with Email." Enter your information, check the agreement, and click whichever account you're trying to create. 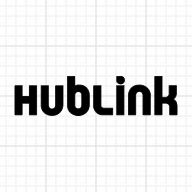 HubLink will send you both an SMS code and an email confirmation. Please visit your email inbox, and find an email with the following subject line: "Please confirm your HubLink email address." Click the link the email to verify your email address. Next, return to the HubLink login screen, and enter your email and password to log in. If you're joining an existing operator or boat owner account, you might see a notification that you're account is pending administrative approval. Learn more about managing multiple account users here. "You created my user account for me." Click "Log In with Email and Password." To log in for the first time, use your email address and, as your password, your cell phone number (without spaces, dashes, or parentheses). After logging in for the first time, please send an email to info@usehublink.com with the subject line "Password Reset Request." We'll send you a link that will allow you to customize your password. You can also reset your password by clicking "Reset Password" on the login screen (HubLink App Home > Log In with Email & Password > Reset Password). "I want to learn more about HubLink's boat owner features." "I want to learn more about HubLink's operator features." "I want to add more users to my account." "I want to assign a notification recipient." "I'm a boat owner, and I want to send my first agreement to an operator." "I'm an operator, and I want to send my first agreement to a boat owner." "I want to add vessels to my boat owner account." "I want to learn more about the ways HubLink keeps my company's data secure." "I want to learn more about HubLink's SOS feature."